Runners and walkers of all ages are welcome. 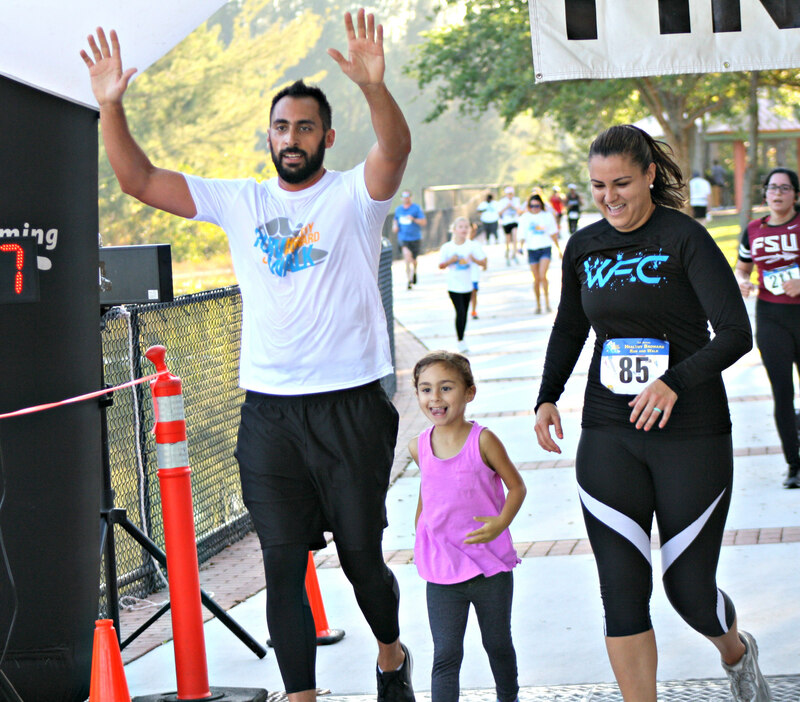 Our event features a chip-timed and measured 5K run and a one-mile family fun walk. It's not a fundraiser, it's an event by a partnership of local governments and health agencies to encourage a morning of physical activity for National Public Health Week. Discounts for early registration, and a group discount for a family of up to 4 walkers. Free parking, free park entry and free T-shirt for the first 500 people to register. All runners and walkers receive a participation medal. Runner awards for M & F top 3 finishers overall and in 15 age groups. Enjoy a health resource fair, fun activities for the kids, face painting and more. Employers: Prizes for highest % of your employees to participate. Packet Pickup: Noon to 6:30 pm Thursday, 4/4/19, Runners Depot, 2233 S. University Dr., Davie FL 33324. Run starts at 7:30 a.m., the walk starts immediately after. Parking will be found at the site, including at the park, African-American Research Library, Urban League of Broward. Overflow parking is free at BSO HQ and county lot at NW 27 Ave. and NW 4 St.
Packet Pickup: Noon to 6:30 pm Thursday, 4/4/19, Runners Depot, 2233 S. University Dr., Davie FL 33324.